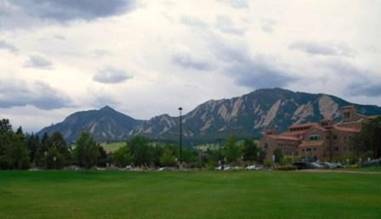 On October 2, 2010, the University of Georgia football team will be in beautiful Boulder, CO to take on the Colorado Buffaloes. 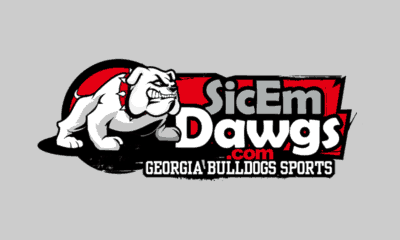 The Colorado Dawgs have been working closely with LoDo’s Bar and Grill (a locally owned rooftop sports bar and grill) and our sponsors to bring together The UGA at CU Dawg Fan Tailgate Party. This Tailgate Party will be held on CU campus, on the Business Field (only 1/4 mile away from Folsom Stadium), beginning five hours before kickoff. There will be a ticket fee of $26.00 per person plus a small service fee. The ticket will allow you entry into the event, a backyard grill feast of burgers, dogs, coleslaw, chips, dessert and non-alcoholic beverages (There will be a vegetarian option for those who prefer). Update (09/16/2010) – This event is now SOLD OUT. We have also arranged for the most important part of a tailgate, complimentary beer for those who can prove they are over 21. Come eat, drink and enjoy the company of a few thousand UGA fans from across the country under the backdrop of the beautiful Flatirons! A discount card – We have arranged a Dawg Watering Hole discount card with several bars/restaurants on Pearl Street in Boulder. This card can be used Friday and Saturday. Details on how to obtain the card will be sent to those who purchase tickets. A chance to win – Exciting door prizes! – Airtran is providing two business-class round trip plane tickets, valued at $1000. – The Alumni House is providing a football autographed by Coach Mark Richt. – Tickets will be given upon entry and you will have to be present to win. – Keep watching this site as we hope to add more items. TV’s – LoDo’s is bringing a couple of televisions so we can keep track of the early games. Tailgate Games – LoDo’s is putting together some tailgate games for our enjoyment. Music – We will be able to play music through the speakers to get us all pumped up. We also are looking into the possibility of an acoustic performance to keep us entertained. Special Guests – Nothing has been solidified, but we’re working on some special guests that will also help get us pumped up for the game. We are selling a limited amount of tickets and once they’re gone, they are gone! Get yours now for the early bird price of $26 each. The price will increase after Labor Day. This event will be held rain or shine (CO has 300 sunny days each year). Once you purchase your tickets, you will receive a confirmation email. Attached to that email is a PDF containing your tickets. Print them out (or bring the email on your smart phone) to the tailgate along with your IDs. **Due to regulations, only those who prepay will be able to attend the tailgate (purchase tickets). **Refunds will not be issued unless this event is canceled by the host. Thank you to our sponsors: LoDo’s Bar & Grill, Airtran Airways, and UGASports.com!